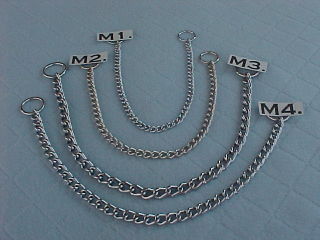 Select Miscellaneous: Choker Collars, Prong Collars, Tie Chains, Tie Stakes & Bowls X-Light 2mm Choker Chain Light 2.5mm Choker Chain Medium 3mm Choker Chain Heavy 3.5mm Choker Chain X-Light 2mm Chain Lead 4 ft. Light 2.5mm Chain Lead 4 ft. 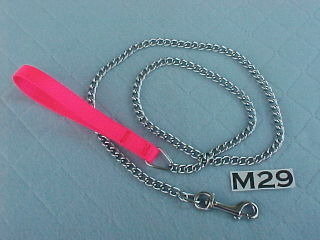 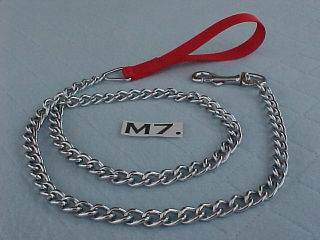 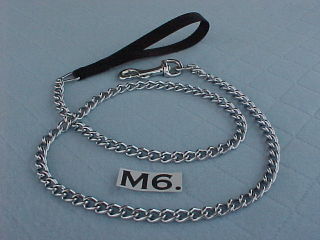 Medium 3mm Chain Lead 4 ft. 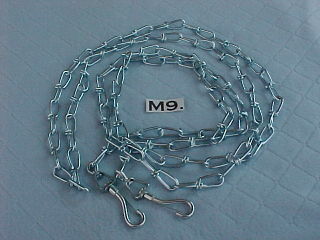 Heavy 3.5mm Chain Lead 4 ft. Light 2mm Tie Chain Lead 10 ft. 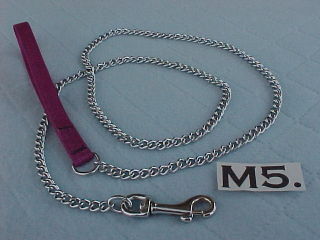 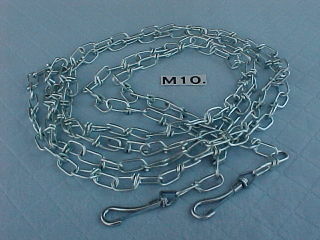 Medium 2.5mm Tie Chain Lead 10 ft. 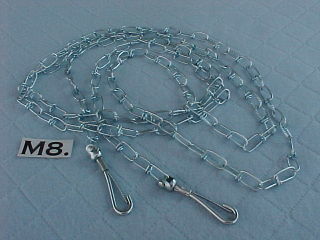 Heavy 3mm Tie Chain Lead 15 ft. X-Heavy 3.5mm Tie Chain Lead 20 ft. X-Light 2.3mm Prong Training Collar Light 3mm Prong Training Collar Medium 3.2mm Prong Training Collar Heavy 3.8mm Prong Training Collar Small Plastic Double Dinner Medium Plastic Double Dinner Large Plastic Double Dinner Fleece Braid Chew Toy Knotted Rope Chew Toy Large Tie Stake 11mm x 20" Screw In Tie Stake 8mm x 16"